It’s uncomfortable when you have to do your paperwork in bulky outdoor clothes while standing or being eyed by a clerk, a bank employee or an insurance agent. Even when you fill out your documents in the comfort of your own home, there’s always a risk that you might make a mistake and have to start from scratch. An excellent way to prevent mistakes when handling paperwork is autofilling. In this article we are going to tell you how we helped one of our clients to automate filling and signing insurance company blanks using the DocuSign service, which served to attract customers and increase customer loyalty. Docusign is a service that allows you to upload, send for signing, look through and sign documents; as well as track document status using either the service’s own interface or a custom client (that is supposed to use API and Embedded View for viewing and signing documents). Document and electronic signature security is certified in accordance with the ISO 27001 standard that establishes the basic terms and conditions for data security systems. All data transferred between the client and the DocuSign services is encrypted and sent using the HTTPS protocol. Documents and templates stored in DocuSign are encrypted using the AES-256 algorithm. 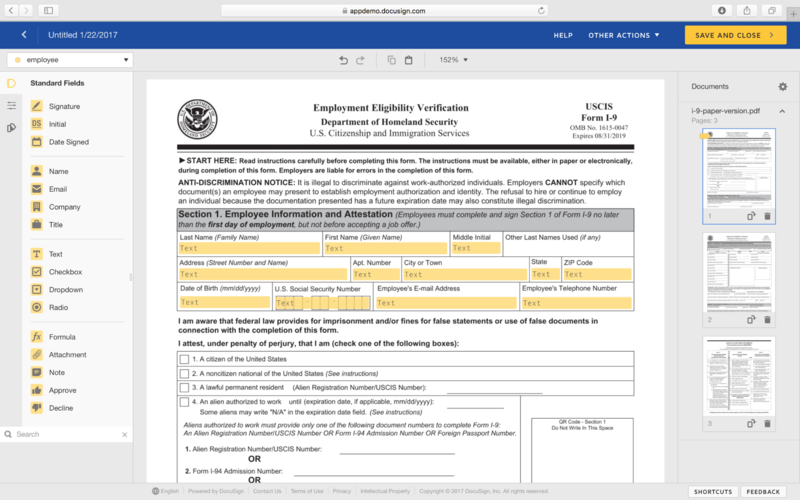 Docusign permits working with documents and e-signatures in full accordance with HIPAA (Health Insurance Portability and Accountability Act 1996). HIPAA establishes the standards of health information confidentiality (including information like physical condition, medical history and history of payment for medical services). Our goal is to fill out and send blanks with the help of DocuSign. Envelope. This entity is a container for storing and sending one or more multi-page documents. Sending the document to the selected recipients. To gain access to all of the DocuSign features you have to create a demo account (a sandbox). To do this, click the Create Sandbox button in the Developers section of the DocuSign main page. After you validate your account, you can continue. Navigate into the Templates tab and click New -> Create Template. Enter the name and the description of the template. 4. Add recipients. If you plan on using the template repeatedly and sending it to several recipients, you can enter only the name of the role (e.g., «employee» for the company’s workers). Afterwards, we get to the screen where we add fields to the document. In the future, only the document’s recipient will be able to fill them in. If there are several recipients, fields can be designated for each of them. Each field has several parameters. The Data Label parameter deserves special attention as it can be used as an identifier when working with the template or document’s data in the API. It’s also worth noting that Data Label is not a unique value, so there can be several duplicate fields with it. This comes in handy when you need to automatically fill in several fields at once with the name of the same person. To send a document for the recipients to later fill out and sign, you have to click the 'Use' button located across the selected template. In the window that opens, enter the names and e-mails of the recipients. After you have sent the document, the selected recipients will get notifications asking them to examine, fill out and sign the document. The e-mail will include a link to the form with the document. 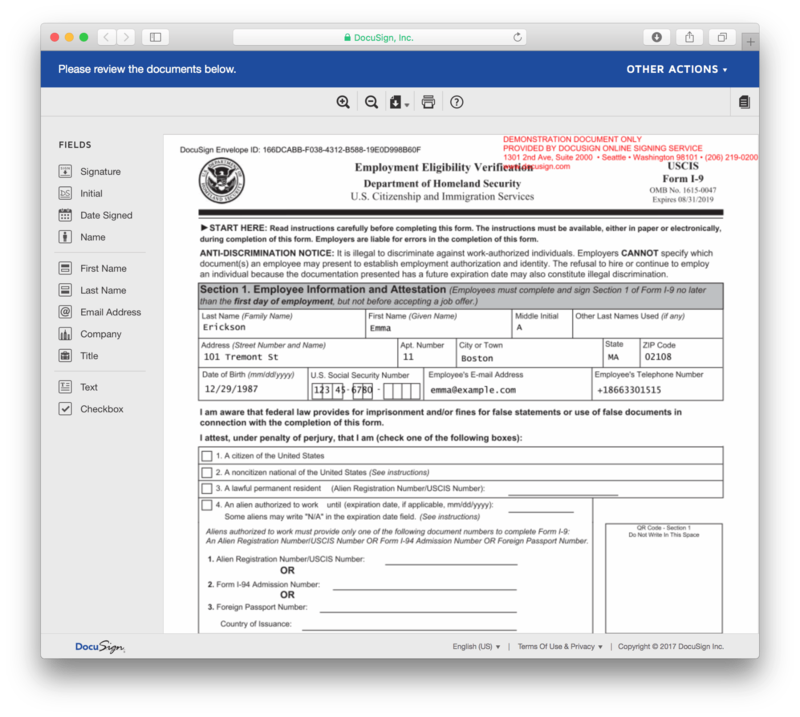 If there is only one recipient of the document, its status will be changed to 'Completed' after it’s signed, and the status change will be displayed in the DocuSign interface. The filled and signed document can then be downloaded. If there are two or more recipients, the document status will stay as it is (Sent). Everything we have just done manually (i.e., sent the document to the required recipients and they have signed it) can be automated with the help of the API, so be sure to check out the next part. Docusign has two API’s: SOAP and REST. We’ll use the latter in our example, as it’s more demonstrative and its method implementation is more comprehensive. 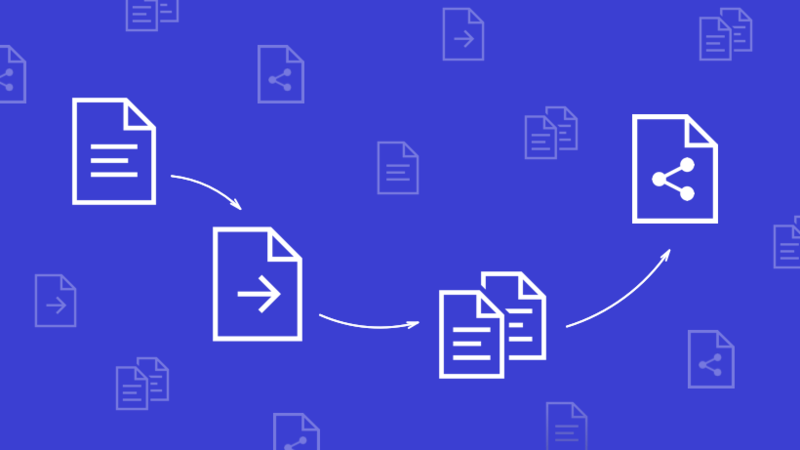 The REST API allows signing documents, sending them for signing and automating document flow. To start working with the REST API, we have to get authorized first. 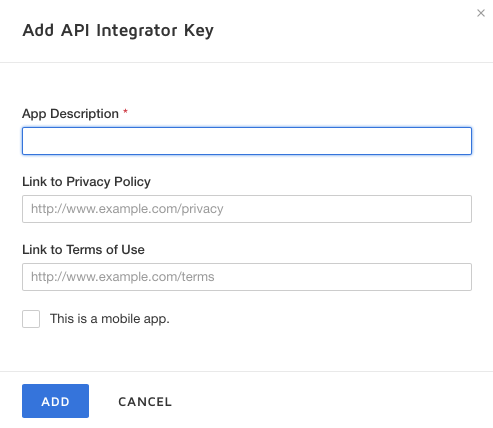 To do this, the API can send authorization data in a special header that must contain username, password and an Integrator Key. 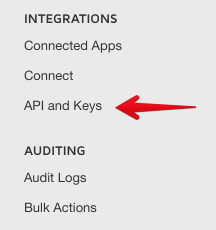 First things first: let’s get an Integrator Key and then go back to making API requests. 1. Getting an Integrator Key. 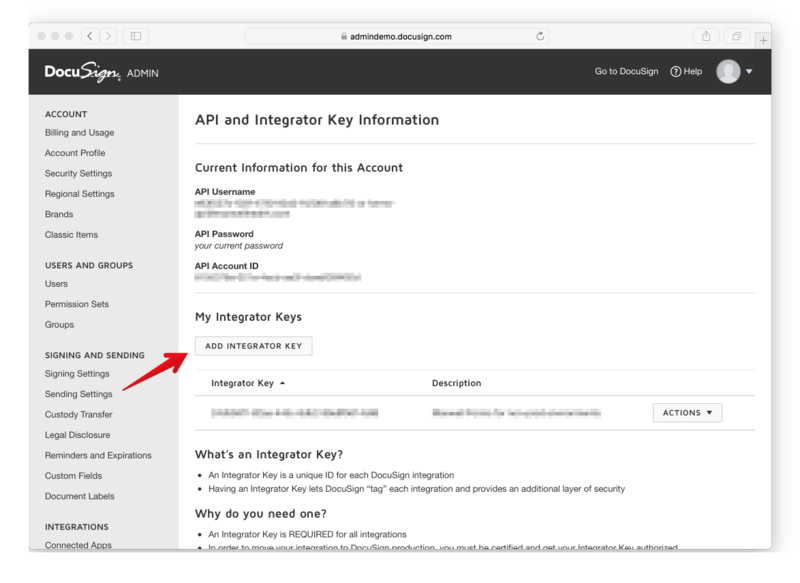 That’s it, the key can now be found in the section called My Integrator Keys. Each request to DocuSign has to be supplemented with a X-DocuSign-Authentication header that sends username, password and Integrator Key in JSON format. This format should only be used for integrating third party services with DocuSign. To work with client apps (e.g., on iOS), you’ve got to use OAuth. Our first request to DocuSign will be a request to get account info. It’ll also contain the so called baseUrl, a URL that will be used for creating subsequent requests to DocuSign. With the help of baseUrl and the X-DocuSign-Authentication header, we’re ready to make requests to the API. Imagine you already have a template base and the easiest way to make it is through the DocuSign interface. We’ll use a template we made earlier. For our example, let’s use a personal data processing consent agreement in which we need to fill in the fields with the data on the document’s recipient. 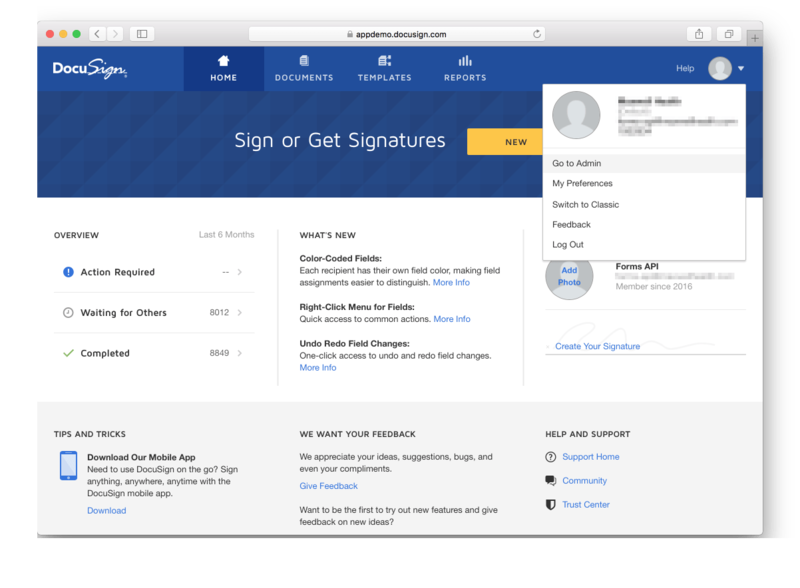 DocuSign has seven recipient types: Agents, Carbon Copies, Certified Deliveries, Editors, In Person Signers, Intermediaries, and Signers. In our template, we’ll only be using Signers*, which is why we’ll examine only this type. *«Signers» doesn’t necessarily mean that all of the recipients of this document have to sign it. In fact, if you don’t assign any tabs that the user has to fill (or sign), it’s enough for them to just open the document and look through it. As was mentioned before, each recipient has a «tabs» property that contains all the tabs in the document. Tabs are divided into several types as well. We will not go into these types to save time and just pick textTabs (fields for entering text) and signHereTabs (fields for signatures). These are the two most common types of fields in documents. Let’s move on to autofilling. 4. Filling in tabs and sending the document to the recipients. For DocuSign to automatically fill in the required values, you have to send the list of all the recipients when creating the document. You can do so by adding the «tabs» property for the recipients for whom you want to fill in the tabs. The tab has to contain the following properties: name, tabLabel, xPosition, yPosition and value. We have already mentioned tabLabel above, as this tab will be useful for identification. For instance, we can match the tab with the tabLabel equal to «nameFull» with the recipient’s full name and put it into the «value» property. Our document has the following fillable tabs: nameFirst, nameLast, middleInitial, ssn, dob, email, phone, addressStreetSuite, aptNumber, city, state, и zipCode. 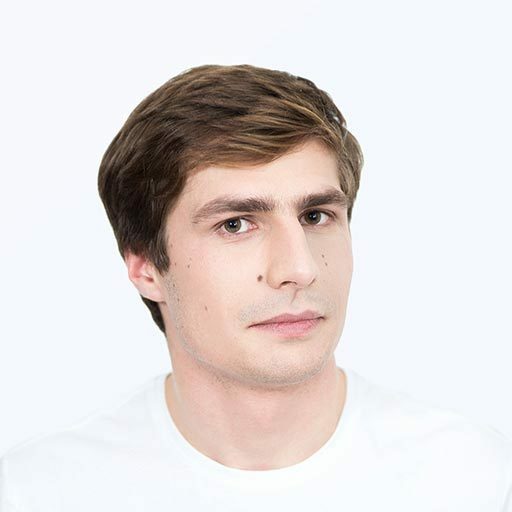 Now, when we’ve created the basic functionality of the app and are ready to use it in the release version, we need to go through certification. It doesn’t use undocumented API features. It doesn’t use features you don’t have access to due to limited subscription. It doesn’t exceed allocated quota. The interval of time during which you’ll have to make no less than 20 requests to DocuSign. The requests will demonstrate how you are planning to use the API. 2. Use your app in the designated time interval and make no less than 20 transactions with DocuSign. 3. If everything is OK, you’ll be provided with a Post Certification Guide to prepare for release. Usually this process doesn’t take more than a week, but I don’t recommend doing it just before release, as documents won’t have legal effect without certification and you won’t have access to DocuSign support. 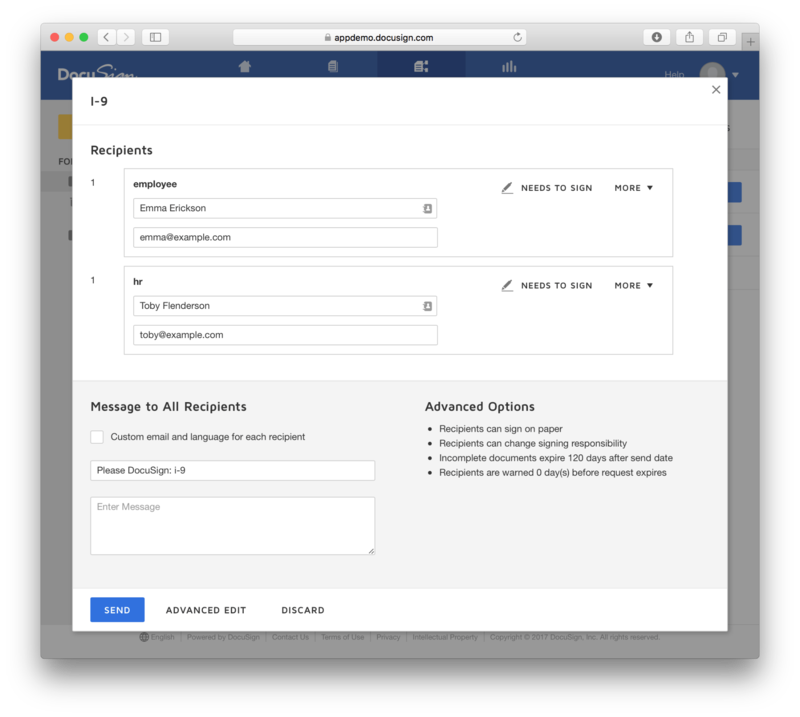 In this example we’ve scratched the surface of DocuSign integration and created a client for autofilling templates and sending documents for signing. I hope this knowledge will help you decide whether you’re going to use this service (perhaps with a more complex integration plan in mind) or not.